“Every collector has a favorite story to tell about an interesting, unusual, or challenging deal. Here is the story of my favorite acquisition, which took place over a six-month period, starting in early spring of 1968. At this time, I needed just one coin to complete my United States Type Set: either a 1796 or 1797 Half Dollar. I wanted this coin in the best possible condition, as it is rare, and planned on it being a once in a lifetime purchase. While attending a convention in New York City, I mentioned to a friend, John J. Pittman, that this coin was the only one needed for completion of the set. 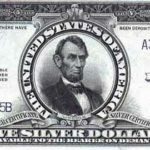 Mr. Pittman stated that he knew of a man by the name of Abraham Hepner living in Florida, and quite elderly, who owned both the 1796 and 1797 Half Dollars, in ‘Proof condition’! It was just possible that these coins might be for sale and that Mr. Pittman proceed to make the initial inquiry on my behalf. The subject was not raised again until the ESNA Convention in May, 1968 in Utica, N.Y. At this convention, I heard rumor that Mr. Hepner had passed away, and asked Mr. Pittman if he could confirm whether this was so. 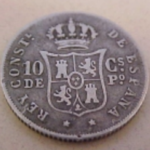 In reply, Mr. Pittman confirmed this fact and also stated that the 1797 Half Dollar advertised was one of the Hepner coins, and he thought that they soon would be consigned for auction. Upon returning from Utica, I immediately called Arthur Conn and inquired about his recent ad. He confirmed Mr. Pittman’s earlier statement and that he would be able to forward this coin to me for examination in a couple of days. But… right after Mr. Hepner’s passing away, his two daughters had requested the coin be returned, and so it was. 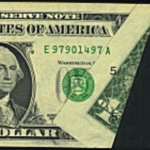 At this time, I expressed my desire to purchase ‘both Half Dollars’ and Mr. Conn stated that he would contact Major Lamberton, Mr. Hepner’s close friend and advisor. It was hard to wait for the results of this inquiry! A few days later, Major Lamberton phoned me and forwarded Mr. Hepner’s daughter’s telephone number, in Washington, D.C. This was the moment, for now I would know if all my efforts in quest for these treasures would be successful. I made the call to Washington, and informed Mr Hepner ‘s daughter that I was interested in purchasing the Half Dollars. In reply she said, ‘I would like to ask a question or two of you. Are you a collector or a dealer?’, she asked. I replied, ‘I was a dyed in the wool collector.’ Evidently this was the right answer, because she replied,’Good, now tell me, are you interested in one or both of the coins?’ Well, I sure knew the answer to that question. I assured her that I definitely was interested in both. Much to my disappointment she said she was not sure they were going to sell the coins, however if they should, I would be the first to be contacted. (Other sisters and sisters-in-law were involved in the decision.) Mr. Hepner had two sons that preceded him in death. During the course of the summer, I talked to many people about Abraham Hepner and his two Half Dollars. Everyone agreed that they were the finest that they had ever seen. Mr. Hepner died on May 19, 1968, and was the oldest member of the A.N.A. Born in Georgetown, Colorado in 1875, he moved with his family to Pittsburgh, Pa. at an early age. 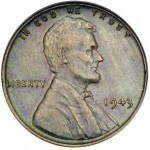 His later numismatic specialty became Half Dollars. In January, 1968, his famous Half Dollars were in the ‘FUN Convention’ auction with a starting bid of $25,000! His daughter later told me that she was shocked to hear he had put them in auction ‘just to spice it up,’ and that he had no intentions of selling them. Luckily, no one bid on the coins, or there may have been a little trouble! 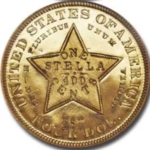 I had almost given up on hearing from the family on their decision, when in October I received a call from his daughter in Washington, (Mrs. Singer) and she informed me the family had decided to sell the coins and asked me if I was still interested. Overwhelmed as I was, I replied that yes, I was interested in them and would arrange to fly to Washington the next Wednesday and meet with her in her home. On October 23, 1968, I did fly to Washington and while waiting for my appointment with Mrs. Singer, visited a coin shop in the area. I began speaking to the owner and discovered he had purchased the store from Abraham Hepner in 1952. I did not divulge to him the purpose of my trip, but did ask him about the two Half Dollars. He began raving about them, and it was at this point that I truly became both nervous and excited. More so now than in any other phase of this very important purchase. As the hour grew late and evening approached, the culmination of six months of waiting was finally here. I arrived at the home of Mrs. Singer and we just talked a while. Shortly thereafter, the purchase was completed. These treasures were mine! It was one of the most thrilling moments of my collecting life. Editors Note: Lelan Rogers owned and enjoyed these two remarkable half dollars for 27 years. The coins were sold in Stack’s session of the Numisma ’95 Auction, November 29, 1995 as Lots 1250 and 1251. The 1796 brought $330,000. The incredible 1797, opening at $170,000, was finally hammered down for $517,000!